Taree-based trainer Matthew Robinson took persuading from the family’s matriarch but is now making inroads into the world of horse racing. Robinson, 42, is Muswellbrook born and bred and will have one of the fancies for the $80,000 Taree Cup (2000m) on Sunday 19 August. But first, his in-form galloper Chalcedony needs to make a stamp on the Cup by claiming Thursday’s Taree Cup Prelude (1600m). Chalcedony rattled home last start to score in convincing style on his home track over the Cup distance and will go close to making it a double on Thursday. “I worked for my Dad, John, who was a hobby trainer and only had a couple of horses, and also with Jeff Englebrecht when in school. But I didn’t do much during the year after leaving,” Robinson recalled. “Mum said to go out and get a job, so I spoke to Steve Englebrecht at Muswellbrook races one day and he got me a start with John Hawkes at Crown Lodge (Warwick Farm). Heading them is Chalcedony, a quirky seven-year-old chestnut with a white blaze: “He’s a funny horse and not a straight-forward animal; not conventional. “He has a high head carriage when he races – he learned to gallop with it and it has stayed with him. He gets back in his races and needs to be bottled up and then poke through the gaps as they appear down the straight. 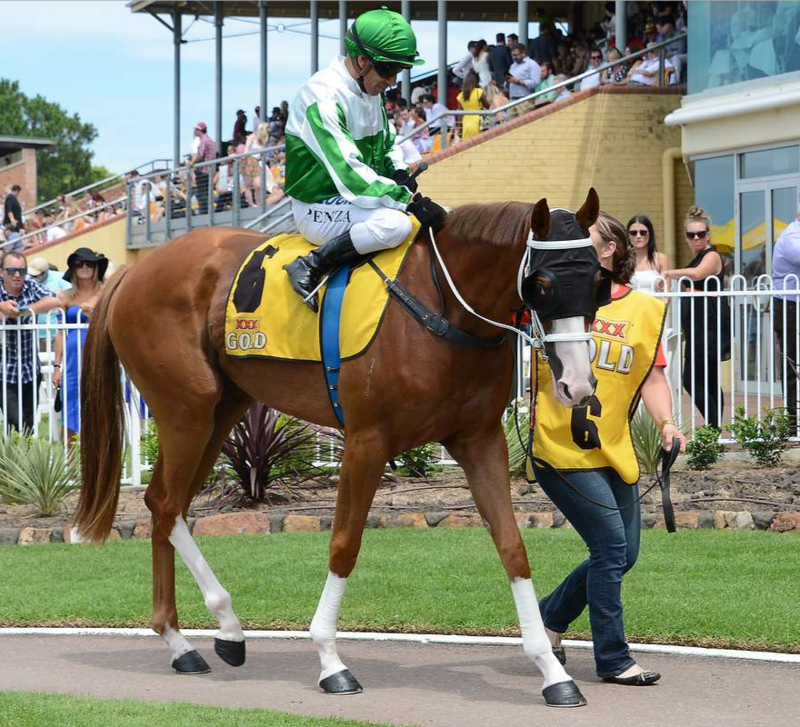 Chalcedony has won his past two starts at Taree, the latest when an easy winner over 2000m on July 20. Allan Chau will ride Chalcedony and On My Terms, a five-year-old mare who is first-up in The Kosciuszko 13 October Handicap (1000m). The mare has an excellent record when fresh, having raced four times when resuming with wins at Coffs Harbour and placings at Port Macquarie (twice) and Taree. Robinson’s other starter on Thursday will be Mosgiel Lucy who will compete in the Fly Pelican Fashions on the Field Handicap (1250m).